Owner of DIY giant B&Q, and Screwfix, Kingfisher plc reported further hits to its profit as an announcement from the group confirms CEO Véronique Laury will step down from her position and the Board will ensure a "orderly transition". A departure date has not yet been decided, but the succession process has commenced immediately, the group has said. Ms Laury oversaw the ONE Kingfisher transformation plan over the last three years, to which she said has "achieved radical organisational and behavioural change across Kingfisher" however this strategy added challenges in the French market and saw Kingfisher axe 400 jobs at its Castorama and Brico Depot units. Full year results for 2018/19 show like for like sales down 1.6% with growth in Screwfix (UK), Brico Dépôt France and Poland offset by a "disappointing" performance from B&Q and Castorama France. The group has said it expects future performances to be "flat" with end of year results showing underlying profit fall by 13% to £693m. Kingfisher also announced it would close all 19 Screwfix outlets in Germany, and said it was considering the closure of 15 further stores across the group. With costs including £111m for store closures included, profits were 52.8% lower for the year to the end of January. Screwfix continued to perform well, with the group reporting that its leading omnichannel proposition has consistently delivered strong growth in recent years and it has identified additional expansion opportunities in both the UK and in new markets, by the end of 18/19 full year Screwfix UK had 627 outlets, nearly double the number five years ago, after celebrating the opening of its 600th store in September. In FY 19/20, Screwfix will strengthen its overall customer proposition and extend its store plan in the UK. Kingfisher say it is now targeting approximately 800 outlets in the UK, having previously targeted 700. "I will continue to give 100 per cent until the day I depart," said Ms Laury. On the other hand B&Q’s total online sales continued to make good progress with sales growing by 9% (including click & collect up 42% and mobile up 44%) and now represent 5% of total sales. 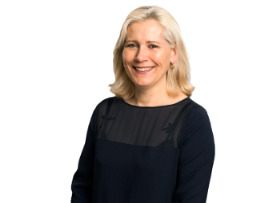 Speaking of stepping down midway through the transformation plan, Véronique Laury, chief executive officer, commented: "I have enjoyed leading the ONE Kingfisher team through the transformation to become the leading home improvement company. We have a strong purpose to create good homes by making home improvement accessible for everyone. I have always been passionate about this and still am. I would like to thank all our colleagues for their hard work and great achievements. Leading the transformation has been so exciting but also very challenging. As the transformation approaches its final year, I believe it is right for someone else to lead the next phase of the ONE Kingfisher journey. I will continue to give 100 per cent until the day I depart." Andy Cosslett, Chairman, commented: "Vero has been a powerful leader of the business and the driving force behind our plan to turn Kingfisher into a more unified and innovative business. This year will mark a transition in our transformation journey having now reached a critical mass. We are starting to see clear evidence emerging that we can create a powerful and differentiated home improvement experience for our customers which will convert to profitable growth going forward. We are now moving into a new phase where we can extract more of the benefits resulting from the hard work that has been put in, and it is therefore timely that we commence a succession process. Vero has brought great vision to the business and I would like to take this opportunity to thank her for all of her hard work and passion, and for her ongoing commitment to transforming Kingfisher into a business with a stronger foundation for sustainable growth." One kingfisher range has been a total disaster despite however the board paints it. Millions lost in lost sales caused by Out of stocks caused by stupid one range, no contingency plans to get alternative stocks into stores. Experienced staff driven out of the company by wage cuts down to the level of new starters, bonuses from shopfloor taken away while the Board kep theirs. Seemed surprised to lose sales from kitchens when they stopped all offers and ended fitting! The Board is not fit for purpose ! Staff are now bullied, the evening replen team have been made redundant, then surprise the stock isn't being put away completely so customer advisors told they will be rota'd in till 11pm. Greedy incompetent directors have destroyed this once great company, it's staff was it's greatest asset yet they bullied them out of the business.